In the intervening day between the second T20I and today, there was some talk about India’s running (or walking) between the wickets. India’s captain Smriti Mandhana in an interview said, among other things, that India needed to work on their running, that they hit either fours or dots, that they needed to rotate the strike more, and so on. CRICKETher’s very own Syd Egan then proved this, using numbers and tables, and probably slide rules and the differential calculus as well. But a lot of this sounds like captain’s waffle, or overanalysis to the spectator, until she sees it exemplified for herself in an actual match. And that, as if made to order, was what happened in the third and final (“dead rubber”) T20I between India and England in Guwahati. Simply put, England won by one run, after a fantastic final over by Kate Cross in which she took two wickets and gave away only one run. But behind this lies a tale. In their last three overs India scored three boundaries, England none. Yet in their 18th, 19th and 20th overs India scored 19 runs, while England scored 26. It means that Shrubsole and Dunkley, one extra from a wide aside, ran the equivalent of nearly 500 metres each in 19 deliveries. The Indians managed 60. England allowed one dot ball in those three overs. Mithali Raj alone played out six, with Fulmali adding another three at the end of the Indian innings. Just one more would have given India a tie. Two more, the match. Even without the final score and these reflections on it, the match was an exciting one. It was a dead rubber, the series had been decided. But it was a Saturday and the eventual crowd at Barsapara was the largest of any of the six matches in the tour. Mandhana wanted her first win as captain, and her team wanted to keep the overall score all square, at three matches each team. Heather Knight, however, may have been thinking slightly differently. Katherine Brunt, England’s most effective bowler this tour, was rested. And, on winning the toss, Knight decided to bat. Perhaps she was challenging her team to bat first and win even though they knew the Indians preferred chasing. Perhaps she was testing her entire squad, which has lost more resources before and during this tour than Spinal Tap lost drummers. Whatever the reason, it was set up for Mandhana to play the innings that all cricket fans wanted to see: a big one, in a chase, leading to a win. Danni Wyatt set off just as one expects, like a greyhound out of the traps. Tammy Beaumont wasn’t far behind. Each hit a six. Each hit fours. India kept their discipline and refused to give away a single extra. So England reached 50 in exactly seven overs with Wyatt on 24 and Beaumont on 26. In the next over, with right arm finger spinner Anuja Patil bowling, Wyatt for whatever reason saw the ball going wide, very wide, of off, but couldn’t resist stretching for it. Result: top edge caught at third man. After which it was another England mini-collapse. Sciver didn’t seem to know where the ball was going after it pitched when the leggie Poonam Yadav was bowling, played and missed a couple and then heard, rather than saw, the third take her off stump, spinning from middle and missing her outside edge. Beaumont, believing this was the right time for it, charged Patil, missed, and was stumped. Taniya Bhatia makes few if any mistakes in situations like this. Amy Jones and Knight did some repair work, and Jones was beginning to look like the batter we had seen in the WWT20 in the Caribbean, making her most useful score of the tour to date, when Knight decided to stretch forward to Ekta Bisht. The ball evaded her outside edge, and Bhatia took the bails off while Knight was still stretched, her back leg behind her as though in a yoga pose, and her foot about 10 cm in front of the crease. But that wasn’t enough. Mandhana brought Deol on to bowl her right arm leg spin and Lauren Winfield was deceived and trapped in front. England had lost five wickets in the space of scoring 31 runs. After the powerplay England had looked on course for a score in excess of 140. Now it looked as though 100 might be ambitious. Nine runs later even Jones was gone. With her score on 22, she was dropped by Mandhana at mid off. To celebrate, she lofted Deol over Mandhana for four. Full of the joys of the Indian Spring she decided to do it again, and this time holed out to Shikha Pandey who had moved slightly finer at the boundary for just this eventuality. Significantly, the English batters had crossed over by then so Dunkley, who hadn’t yet scored, but had at least faced, got to play out the last two deliveries of the over. This left Shrubsole and Dunkley to make the best they could out of the three overs left to them. As related earlier, they did not score a single boundary between them, but ran about half a kilometre each to take the final score up to 119, and India’s target to 120: a score they had not yet reached thus far in the T20 series. But it was an achievable score, a disappointing one from England’s point of view, and on an easy paced pitch that offered nothing like the seam or turn of the Wankhede pitches, it was the perfect opportunity for Mandhana to show what she could do. For 58 runs over 39 deliveries Mandhana gave us left-handed elegance and unstoppable strokeplay, the likes of which has not been seen since the retirement of Brian Charles Lara. Glides through third man, pulls off the hip, lofted drives to long off and long on, pulls and cuts led to eight fours and a six, along with 20 runs she actually ran, in the remaining 29 deliveries. Little wonder that her partners at the other end, Deol and Rodrigues, contributed 12 runs in total to India’s first 59. It didn’t last, however, as Mandhana, looking to gently stroke Laura Marsh on the off side, under-edged the delivery and saw it bounce back onto her stumps. Until then the match was over and India were walking it. Eight runs later Deepti Sharma attempted a quick two, and Raj ran as hard as she has in the last few months, but it was Sharma, slow on the turn and accelerating slowly on her way back, who found herself about 20 cm short as Jones gathered and took the bails off as neatly as a stumping. Even so, it should have been India’s game but, perhaps traumatised by the run out, Raj refused anything that looked like a sharp run. She was going to be there until the end, and she was not going to run out any of her partners, waving them away as they looked at her whenever it was her call. Time was still on India’s side, as was Fulmali, who had shown her talent in her debut in the previous match. The lack of singles, however, meant that the required rate was rising, going from 4.5 with six-and-a-half overs left to a full 6 per over for the last three. 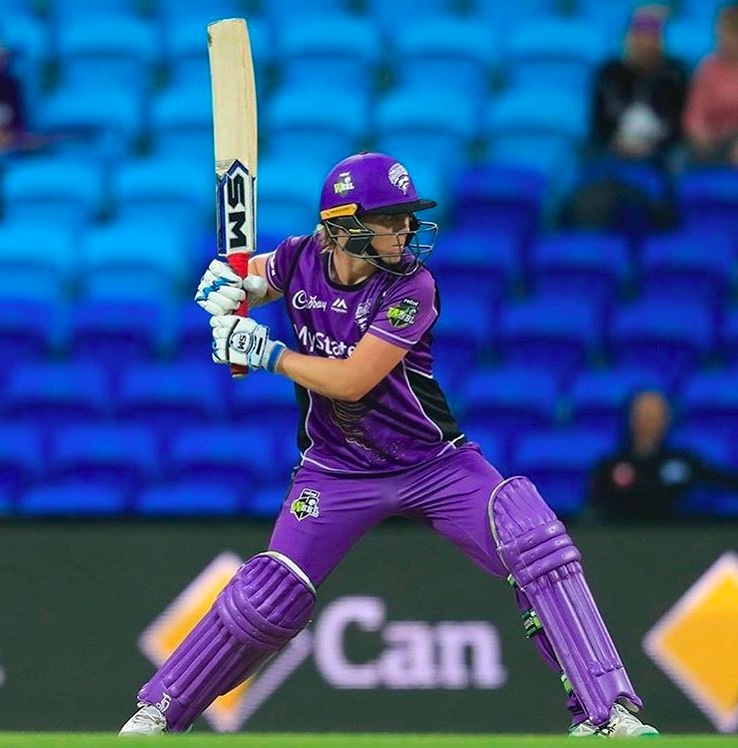 Knight, inexplicably, ignored Wyatt, who had bowled two overs for just seven runs, and went back to her seamers, Sciver, Shrubsole and Cross, for the last three overs. Raj hit Sciver three times to mid on but refused to run. Even so, the over seemed the end of the fight for England as she did manage two fours, using the pace the spinners would not have given her, and taking a single off the last ball. India needed just 9 in the last two overs. Shrubsole managed to keep her discipline, Raj managed to curb any mad impulse to take quick singles, even though the first two deliveries were walked through for one each. And then, on the last ball, Raj once again used Shrubsole’s pace to get herself a four. Which left, as we know, Cross with the unenviable task of defending three runs in the last over, with India only four wickets down. Somehow she did it, bowling straight at Fulmali and giving her no room to swing her arms, changing her length slightly from ball to ball so that Fulmali could not set herself up for it beforehand. Jones missed a stumping too, on the third ball, as it beat Fulmali coming forward, but bounced off Jones’ gloves. Before Jones could pick it up and remove the bails, the batter was back in her crease. On the fourth delivery, trying to take the pressure off, Fulmali holed out to Shrubsole at mid off. Next ball Anuja Patil jumped about halfway down the track, swinging for dear life and, inevitably, missing. Jones made up for her earlier miss, Patil was out, and Pandey came in for the last ball of the innings needing a three or better to win. She skewed it out to Beaumont at point who flung herself on it and then carefully sent it back without running any danger of an overthrow and, though the Indians ran, they could only get one. Game over, and huge release and relief for the England camp. Smriti Mandhana (whom I dearly hope is called Mandy in the dressing room) has, probably since she made her debut, and definitely in the last two years, been thought of as FIC (Future India Captain) just as much as Mike Atherton was FEC to his team mates long before he captained England. She is only 22 and India are surely, barring ill-health or accident, going to see her rule the world as its premier batter for another 10 years at least, so it makes perfect sense for her to be considered the ideal next captain or co-captain for India. Fans, of her, and the game, however, might have wished the opportunity had not arrived quite so quickly. It is not easy to develop much confidence, in your ability, in the squad’s ability, or the squad’s in you, if you are two down with one to play in a home series. Yet that is the situation Mandhana is in after India lost the T20i series in Guwahati to an England performance that, while not as assured as during the first match, was still comfortable enough at the end. It had all started well for India, though. Knight may have won the toss and decided to chase, which would also have been India’s preferred option, but it wasn’t a big issue: Mandhana correctly assessing that this fresh pitch would play much the way the first did, slow and consistent throughout the day. And Knight played her three-card bowling trick again, with Sciver, Shrubsole and Brunt taking overs 1, 2 and 3 respectively. Except this time Sciver’s first over didn’t go as planned, particularly as Deol cover drove her off the first delivery to the boundary and then she gave away five wides in the same over. Shrubsole’s first over was, if anything, even worse. Mandhana lofted her sublimely on her very first delivery over the long off boundary for six. And then repeated the dose later in the over. At 21 – 0 after 2 overs, it looked as though it could be an epic score for India. Brunt, as she does so often for England, restored sanity in the third. Mandhana, trying the lofted drive yet again, misjudged the bowler and the line, to outside edge to the keeper. Amy Jones has the unenviable position of playing Stuart MacGill to Sarah Taylor’s Shane Warne when it comes to keeping for England. Jones is one of the best keepers in the world in her own right and it must have been frustrating to her, and to England, for her to have to be kept out of the first T20 through injury. 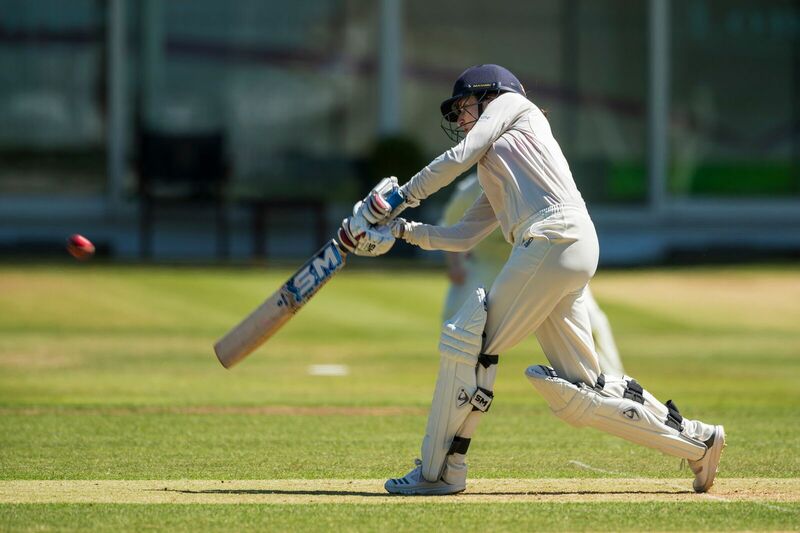 Beaumont was whole-hearted in taking up the gloves for that match, but even she must have been relieved, as must everyone else in the England camp, to see Jones back behind the stumps. For Jones, even standing back as England’s keepers tend to do for each pace bowler’s first over, it was a regulation catch, and after that it was simply a question of how much the visitors could keep down the host’s score. Wickets began to come more regularly, both Brunt and Linsey Smith bowling well enough to keep India in that twilight zone between trying to hold on to their wickets and still trying to push the score along. They weren’t helped by Mithali Raj’s disinclination to run quick singles. She nearly had Sharma run out early, and later achieved it just when her partner looked as though she had the measure of the bowling. In the absence of Harmanpreet Kaur, Raj is probably essential to add batting gravitas to this Indian T20 side, but she does sometimes make it hard to sympathise with her selection. Her 20 runs, though the highest score of the Indian innings, was not as valuable as that sounds, since they didn’t come quickly and she got out as soon as she attempted to push the scoring rate along. Even on a pitch like this, unless you are a Smriti Mandhana, it will take an over or two to get its measure, and wickets falling will always stall an innings. India found their run rate dropping with almost every over, and certainly with every wicket. Once Sharma was gone, it was a steady procession with no improvement in the run rate. Special mention must be made, however, of Bharti Fulmali, making her debut: she kept her head and showed some good strokeplay to help India during the last third of their innings, and almost certainly helped achieve what respectability their score did. England, after halfway, came out having to chase down India’s 111-8, on an easy pitch, and with the confidence of having set 160 on a near identical surface just a few days earlier. Wyatt set off like a drag racer, in the style England expect of her in T20i matches and it looked as though, at over a run a ball, requiring less than five an over, the match would soon be done. Beaumont, however, having spent a little while letting Wyatt make the running, decided it was time for her too. Unfortunately she may have forgotten that a slow pitch is not the same as a pitch that doesn’t take turn at all. Simply put, Beaumont jumped out to hit Radha Yadav (the left arm finger-spinner) missed the ball and lost her stumps. After this, with Pandey being slightly less effective than has been her wont this tour, it was Bisht and the two Yadavs who put pressure on the England batting, chipping away at the wickets: Jones caught and bowled, Sciver LBW and Knight LBW; keeping the scoring rate down and giving their captain hope of a good fight. Albeit Wyatt at the other end had still not (and did not throughout her impressive unbeaten innings) dipped below a strike rate of more than a run a ball. Winfield, in next, helped provide what England needed – a partnership with Wyatt that put the match to rest. In fact Winfield batted so well, getting her eye in quickly and scoring fours at every opportunity, that she easily outscored Wyatt during their 47 run stand. This might also be partly down to Wyatt, inspired by the maturity she had shown in the third ODI, throttling back to ensure she kept her wicket to see England home. When Winfield, ambitious and mistiming the ball a touch, holed out, England needed just 9 runs with 14 deliveries left. Brunt just had to keep her wicket, survive a very close LBW shout, and score two runs. Wyatt did the rest as England won by 5 wickets with 5 balls in hand. It wasn’t an actual stroll in the park but it wasn’t as close as the scoreline might suggest. Wyatt won Player of the Match, which was only fair, given she had scored 64* when nobody else on either side even reached 30 (and in fact only Winfield and Raj had even reached 20). It was also nice to see, after her “mature” face throughout her innings, to see the intensity relax into the smile we are accustomed to see from Danni Wyatt as she went up to collect her award. As it stands, England sit dormy in this tour, being one match up in total, with one to play. They will want to win the last game, on Saturday, to prove that they are the side they believe they are. Mandhana will want her first win as a captain too. Given, however, that it is once more a “dead rubber”, the series having been decided, there may yet again be a slight lack of intensity in it. This would be a bit of a pity since, as the only the weekend match of this tour, it may well get the highest attendance of any match so far (where Barsapara stadium has already shown its ability to attract about five times as many spectators as Wankhede did). As for India, despite the issues surrounding Raj’s place in the team, and her problems with the team management (now all allegedly smoothed over), since she was in the playing XI, it might just have been worthwhile making her the makeshift captain for this series and allowing Mandhana to bat with greater freedom, particularly in the first match, which might have made the difference between winning and losing this series. But now, battle-hardened as it were, she might as well captain for the third too: she is likelier to feel more confidence in her bowlers after this performance, and maybe even get the right blend of freedom to hit combined with responsibility, to make a substantial score of her own. It’s time for “Mandy” to do a little taking for herself. At the end, they were playing for pride. Deepti Sharma and Shikha Pandey have put in all they could for India, not just in the three ODIs that preceded this, but also while bowling and fielding during the first innings of this first T20I. But they had been dealt, face up, a losing hand, and been left to do with it what they would. And they responded with pride, and commitment, and no hope regarding the result: they were beaten even before they came together on the pitch, at the end of the 15th over, with 85 runs to win. That they came within 41 runs of England’s total must be cause for some, grim, satisfaction. On winning the toss Mandhana had decided to chase. Given she is India’s premier batter and has an astonishing record in chases, this seemed sensible. Also, this was a pitch, at Guwahati’s Barsapara Stadium, that was new to them. Watching how the opposition fared on it would give the Indian batters a good idea of what to expect and how to plan their chase. So it seemed, all round, to be an impeccable decision. And it was the wrong one. The England Women’s team does not quite have the power-hitting ability of their male counterparts, who mishit for 6 and keep hitting, but in players like Wyatt, Beaumont, Sciver, Brunt and co they have caught up to a large extent with the Healeys, Devines, Dottins and Kaurs of the world and they do, particularly in the T20 format, have strength in depth that, perhaps, only Australia amongst the other teams, can match. Given a slow and consistent pitch, therefore, the England batters can take just about any bowling attack to the cleaners and that is what they proceeded to do. Beaumont and Wyatt, opening, were careful just to watch the ball for the first two overs, taking any runs on offer (6 of their first eight runs were from extras) and then, having got the pace of the pitch (and it was a consistent, reliable, slow pace) they began to hit out. Shikha Pandey, for India, was as good as she had been during the ODIs. So was India’s other star bowler, Poonam Yadav. The problem was that Mandhana, with the responsibility of captaincy at 22 years old, had to keep Yadav on and bring back Pandey, before the 15th over of the England innings, just to try to stem the flow of runs. The tactic worked, to an extent, with Wyatt caught in the deep by Mandhana herself off Pandey. But it meant that the last five overs of the innings had to be bowled by the hard-working, but not as dangerous, trio, of Reddy, Yadav (Radha), and Deepti Sharma. While Sciver too was out early that still left Beaumont, still merrily striking away, with her captain, Knight, for company. Now there are, on the English team, and in most teams, batters so distinctive that if someone were to play you a stick-figure animation of them batting you would be able to tell who it is. But there is something almost anonymous about England’s captain, Heather Knight’s, batting style. If she pulls you might think it was Beaumont pulling. If she cuts it might be Wyatt. If she drives it could be Sciver. If you were asked about her you might say: “Ummmmm… she’s… good.” But that might be all you had. Which is what made the 18th and 19th overs of the England innings such a revelation. Reddy started the 18th bowling at Beaumont who, having played herself into fluency, and then out again, managed a single. Knight then hit a four. And another. And another. And… she only stopped when she ran out of balls to face, having hit the hapless bowler for five consecutive fours, each with a different shot: a pull, a sweep, a cut, a lofted drive… Knight pulled them all out of her menu. It was a la carte boundary smiting and utterly brilliant. In the next over she hit a sixth consecutive four, and then a single, going from 15 runs in 11 deliveries, to 40 in 19. The next ball she faced she, well, holed out. And that was fine, because she had taken England from a good score to an almost unbeatable one. When Beaumont was stumped for a superb 62, it was left to Brunt and Winfield to get what runs they could in the last few deliveries, taking England to 160 for 4 after their allotted overs. In the limited overs games, and particularly in ODIs, some commentators claim that ending an innings with just four wickets having been lost is a bad thing: it shows that you haven’t used all the batting resources available to you, and you would have been better off hitting out more frantically, even though you lose eight wickets. On a slow pitch like this, however, and in a T20 match, England’s innings was about as good as an innings can get from a professional, percentage play, point of view (it was also very exciting, but that’s a different matter): had they simply hit out and lost wickets, each new batter, to be effective, would have had to spend, or waste, some deliveries just getting the measure of the pitch. The set batters, on the other hand, having had the opportunity to calibrate their strokeplay to the speed of the surface, could always take better advantage of each ball bowled at them. A wicket meant not just a wasted scoring opportunity, but three or four more wasted deliveries as the new batter got her eye in. To that extent, therefore, losing wickets to hasty shots would be a big mistake. This, unfortunately, is what happened to India when they started to chase. 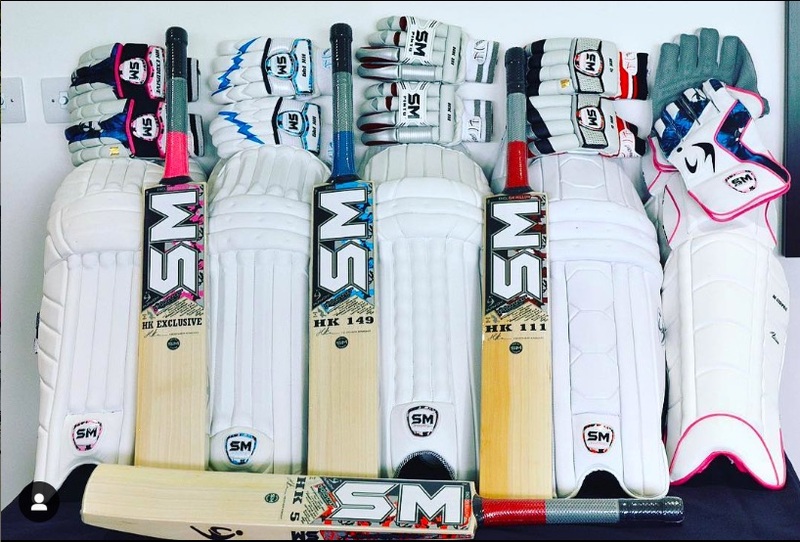 England, having seen Sarah Taylor return home, as scheduled, then played without Amy Jones either, leaving the glovework behind the stumps to Tammy Beaumont. It was a risky tactic, particularly given Beaumont had just batted for 19 of the 20 overs, but in this shortest of formats it was a chance that England could just about take. Beaumont did, nevertheless, look a bit rusty in the first two overs, but she made no mistake in the third. Instead of Mandhana’s ODI partner, Jemimah Rodrigues, Harleen Deol opened with her captain and Knight, either confused, or showing immense tactical nous (I prefer the latter idea), had each of the first three overs bowled by a different bowler: first Sciver, then Shrubsole and then Brunt. The pitch was placid, yes, but having three different bowlers meant it was that much more difficult for the batters to feel as though they knew what pace it was playing at. Deol played slightly late and edged the merest flicker of a touch into Beaumont’s gloves. Immediately, India were under pressure: the weight of runs required meaning that they could not, thereafter, afford for their batters to take two overs each bedding in. Worse was to come as Mandhana fell for the old trap of being tempted to loft the ball to the onside, and finding Kate Cross at long-on, precisely placed for this shot. This was to the young Linsey Smith, another one of England’s seemingly endless bench of left arm slow finger spinners. To add to it, Rodrigues, on the first ball she faced was strangled down the leg side with Beaumont taking the catch. If, that is, you can be said to be strangled down the leg side to a spinner. Even though Raj, and Veda Krishnamurthy (returning to the XI) were at the crease, it was clear that the match was over as a contest. With each over India fell further behind the required rate. The batters had to try to push the score along, with the result that they played non-percentage shots and, as could have been predicted, got out. Raj and Krishnamurthy were back in the dressing room before the score reached 50. And as though to hammer it home, as India got to 76, Brunt got her second wicket: Reddy, caught by Dunkley. From then on Pandey and Sharma, two of India’s most hard working and valuable players, could only try to not get out, and to score enough runs to make the scoreline not look like a thrashing. But the contest was over before they even came to the crease. Knight must be thinking that this is what she expected from her team when the squad first arrived in India. Mandhana, reflecting on her decision at the toss, must be thinking that life’s a pitch.